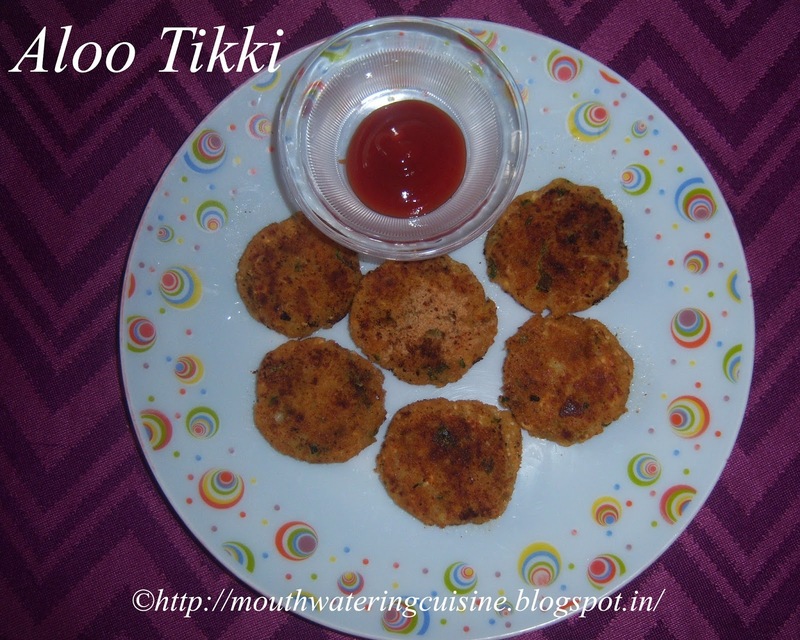 Aloo Tikki -- Crisp outside, soft inside aloo tikki is a real treat to our taste buds. Aloo means potatoes and tikki means cutlet or croquette. Potatoes boiled and mashed, added with different spice powders, make tikkis and shallow fry or deep fry, serve them with simple tomato sauce. Whenever we travel in train, we get samosa, aloo tikki called as cutlets and tomato soup. 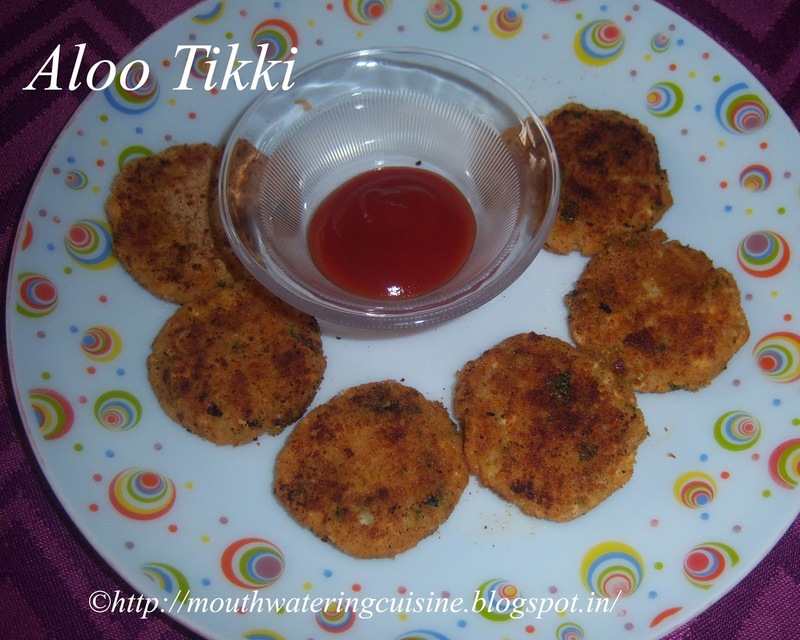 I always prefer aloo tikki. This can be made in two ways one is shallow fry and the other is deep fry. Deep fried aloo tikki, takes lot of oil. Shallow fried tikkis tastes really awesome. There are different variation in making aloo tikkis, like some stuff it with boiled peas, some add more vegetables like carrots and onions. Some add more spices also. It is served with green chutney, sauce and yogurt. Today I made it without adding any other vegetables, except paneer and some spices. Peel and boil potatoes. Mash them once cooled. Mash them thoroughly along with paneer. Add salt, garam masala, chat masala, pepper powder, aamchoor powder and red chilli powder. Mix well. Chop coriander leaves and combine it with the mashed aloo. Make small round ball and press it gently. Make small size cutlets. Roll it in bread crumbs. Make six or seven cutlets of same size. Heat roti tawa or frying pan. Add one teaspoon oil, put all the cutlets. Shallow fry them in low to medium flame. Turn them gently after a few seconds. Add one teaspoon oil on them. Cook them till they turn light brown color. Serve them hot with tomato sauce or green chutney and sweet chutney.